The illustration shows the entire world as bits of leftover food. There is a tremendous problem with food waste in Korea–as in China wasting food is often seen as a sign of living well. 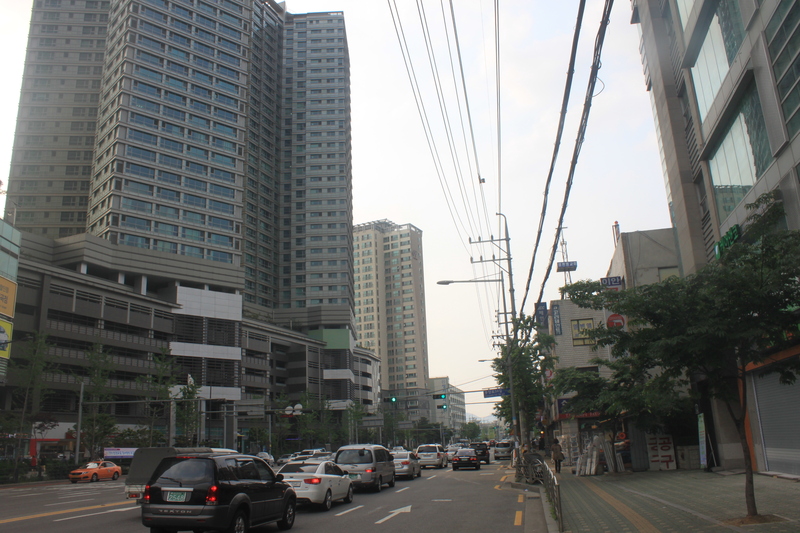 As a whole, however, Korea is far less wasteful of natural resources than the United States. I wonder if any American cities are carrying on similar campaigns? One of the most fascinating phenomena of the current day is the odd structure of government with regards to international relations and national politics, one in which it is local government that is more innovative and more open to concrete international exchange. The waning nation states are suggesting in their action a form of “inverted feudalism.” I formulated this term to describe the current relationship between the central government and local government, drawing on Benjamin Barber’s innovative writings about the new global role of cities and his proposal for a Parliament of Mayors. 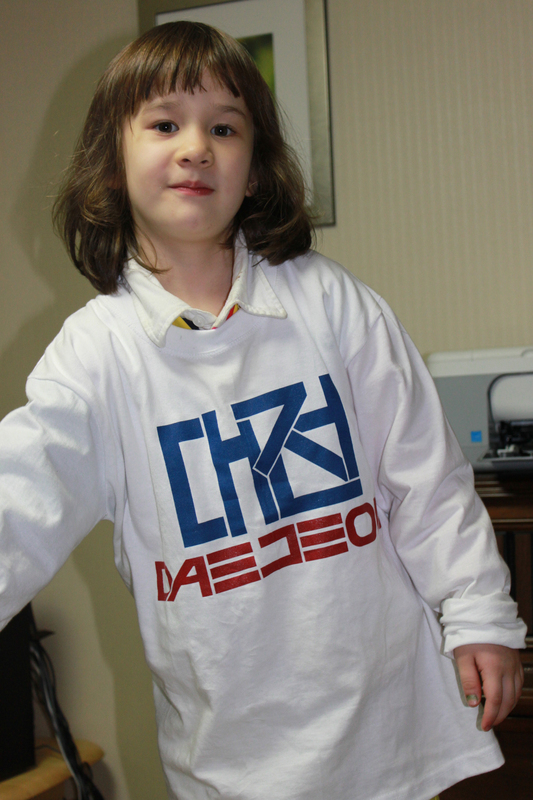 I designed and produced a variety of items for the promotion of Daejeon during the four years I lived there. It struck me as sad that such a great city had not commemorative materials at all. Most of these products are no longer available, but I would love to design more in the future for that remarkable city. The Daejeon T-shirt features the city’s name in Korean and English. 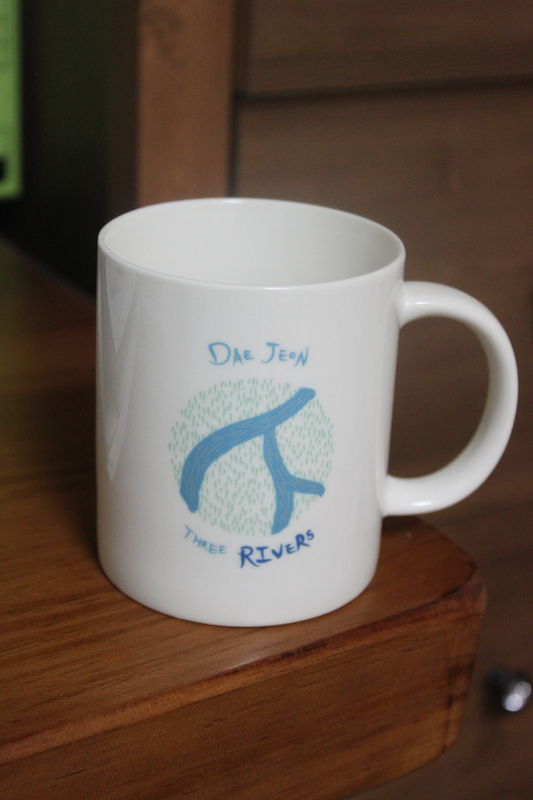 The back side of the Daejeon mug cup has the Chinese characters for Daejeon Three rivers. Daejeon literally means “big field.” So the two defining aspects of the ecosystem are clearly identified in this image. 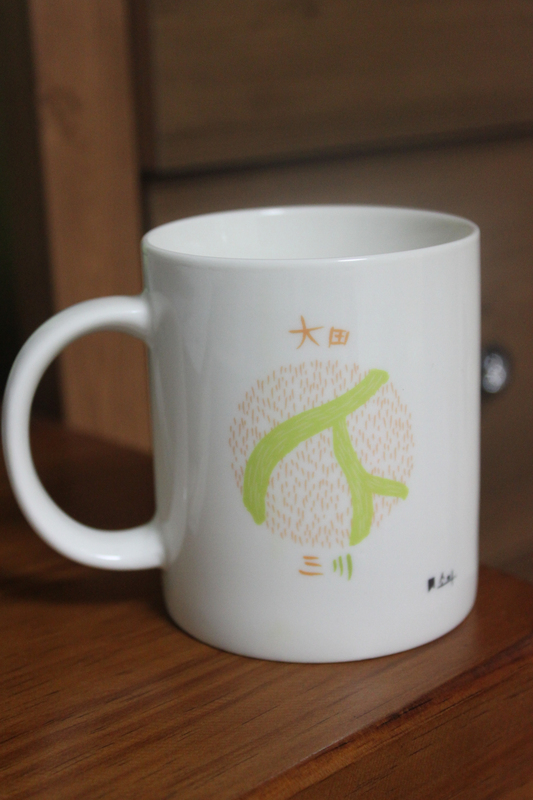 The English language side of the Daejeon mug cup. 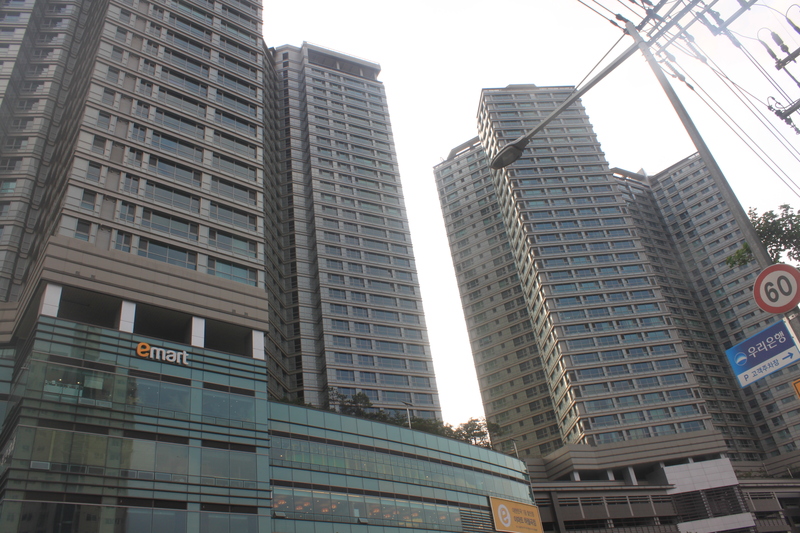 The three rivers that define the city are the Gapcheon River, the Yudeungcheon River and the Daejeon Cheon River. A variety of Daejeon buttons. 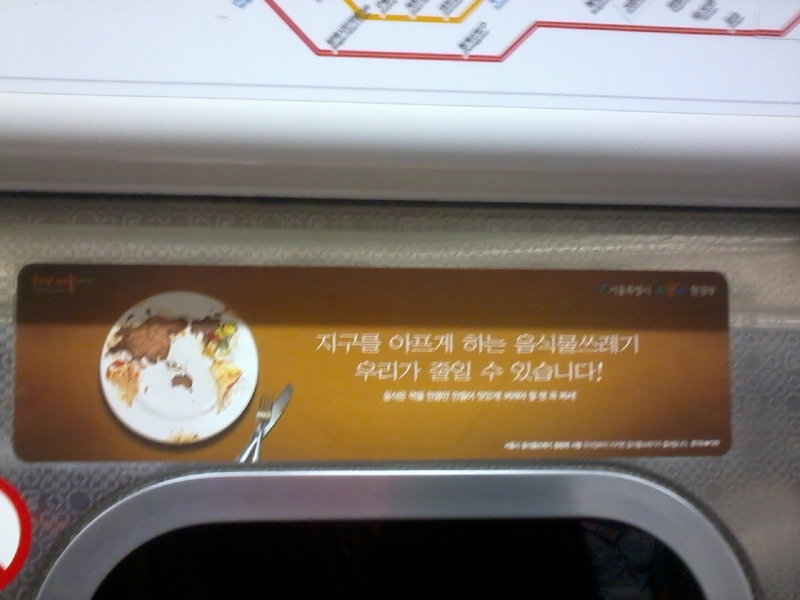 This add on the bus suggests that with sufficient energy conservation the city of Seoul can reduce electric usage sufficiently to justify reducing the number of nuclear power plants by one. 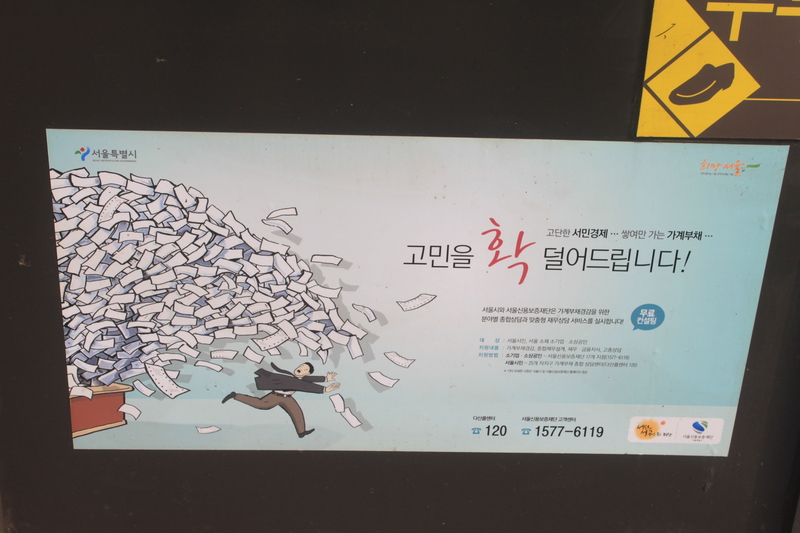 This advertisement for a program run by the city of Seoul to help ordinary citizens deal with debt struck me a truly original. If there is one thing that is truly amazing, it is how well maintained and clean the public lavatories in the Seoul Metro are. There is an inspiring dedication to service here that I do not think I have seen elsewhere. I took the liberty of photographing this text which aims to inspire worker and user alike to take pride in daily experience. 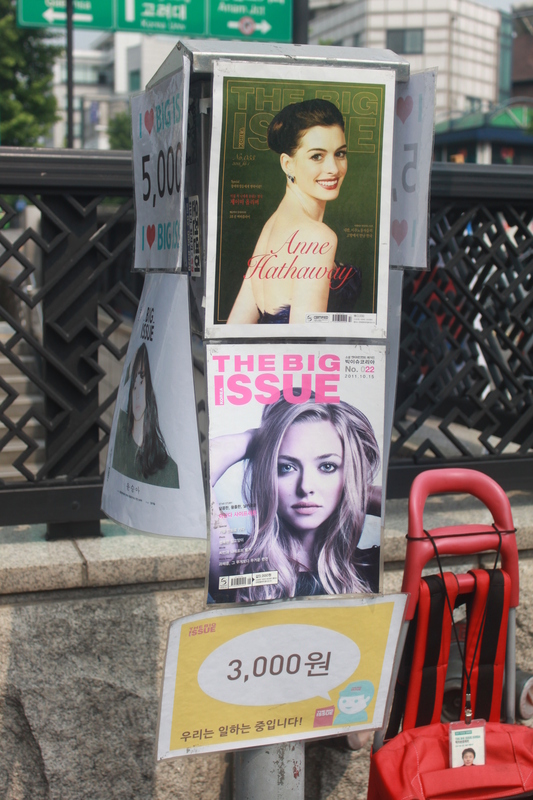 The Big Issue is a journal that is sold by the unemployed in the city of Seoul. I purchased one the other day and read it with great interest. The writing was quite good and the design good as well. 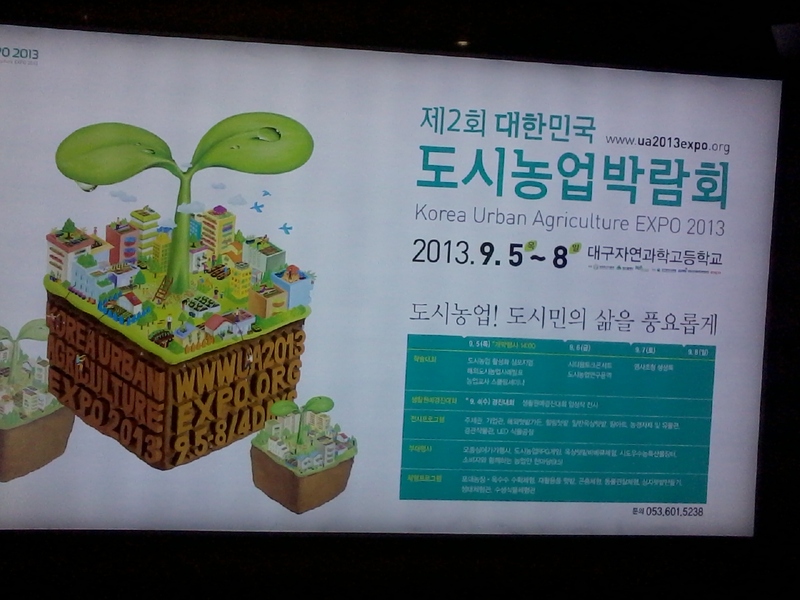 Korea will hold the Korea Urban Agriculture EXPO 2013 in Daegu (September 5-8, 2013). I am delighted to see such emphasis on urban agriculture in Korea these days. Koreans have a secret love of agriculture, but they have suppressed it over the last few decades. 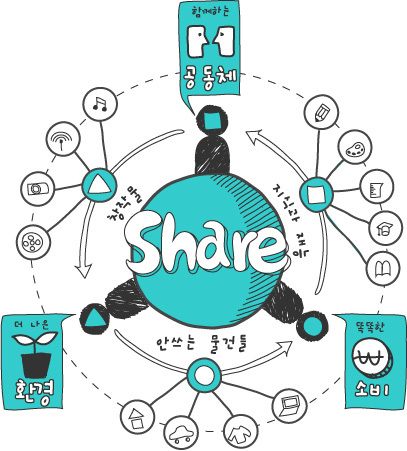 Seoul Metropolitan Government has launched an ambitious program to encourage citizens to share tools, space, services and other aspects of their lives as a means of creating a healthier society. The program proposes broad ranging efforts to encourage citizens to share their possessions as a way of creating a common society. 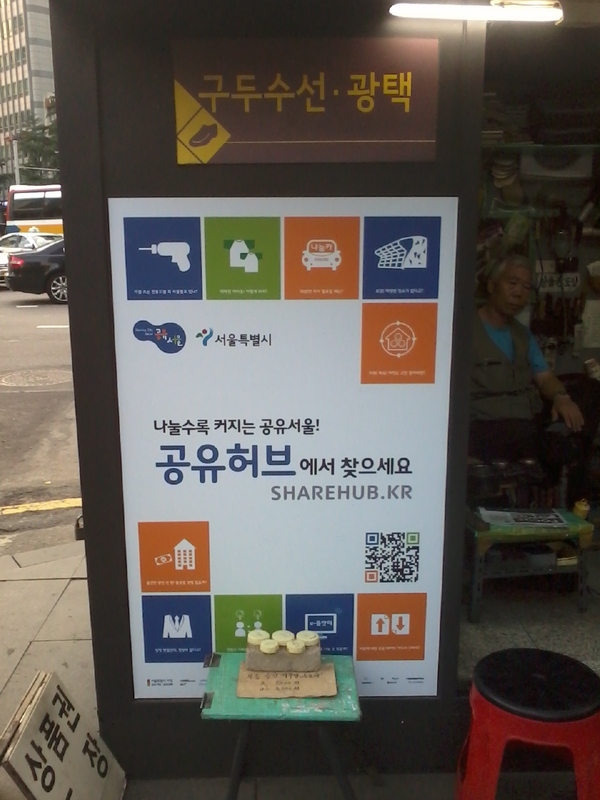 Details about this program are available at sharehub.kr.